A big bowl of Nam Varn Khao Lod Chong (Pandan Noodle in coconut milk and palm sugar) for afternoon snack in Vientiane, Laos. My aunt went to the local market and bought several bags of Nam Varn for each person in the house. 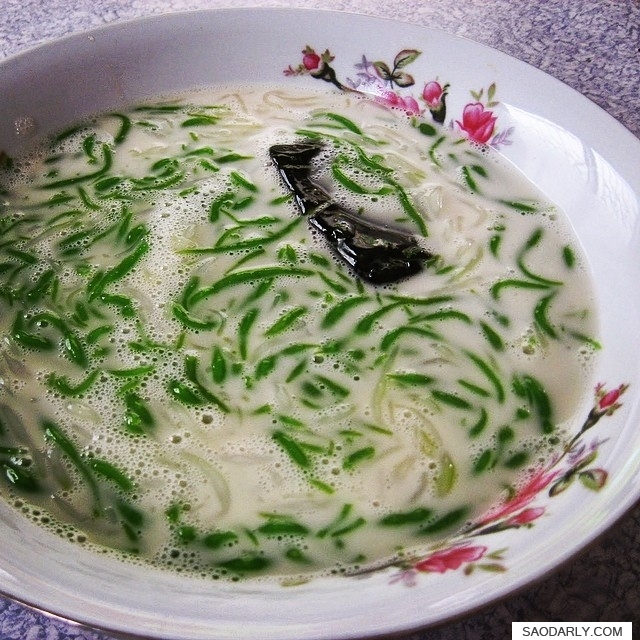 This one bowl also includes Mor Noy (green gelatin made from Mor Noy leaves) and palm seeds. It was a nice afternoon snack when there is a mood for sweet treat instead of something sour, like having green mango with chili dipping sauce.